The Assessor’s Office is responsible for discovering, listing, and valuing all real estate, motor vehicles, and personal property for the annual Grand List. The office also assists the public with tax exempt programs; and provides information on buildings, land maps, and property ownership in Town. Each town in Connecticut is required by law to revalue all real estate at least once every 5 years. East Granby’s last revaluation was completed on 10/1/2013. During the revaluation, the market value of each property is estimated. Then 70 percent is the assessment assigned to each property. Property taxes are computed by multiplying the mill rate by the assessment. Motor vehicle values are obtained from the Nada guide book. To remove or prorate a motor vehicle on a tax list, you must provide two forms of proof to the Assessor’s Office. One of these proofs must address the disposition of the plate, either by cancellation at the DMV, or transfer to another vehicle. Second acceptable proofs are a bill of sale, transfer of title, out of state registration, police report, trade-in document, junkyard receipt, or insurance document indicating cancellation and why. All documents must clearly identify the vehicle, including the vin number. Anyone conducting business in the Town of East Granby is required to file a Personal Property Declaration for the October 1 Grand List. Declarations are due November 1 annually. The Board of Assessment Appeals meets in March of every year to hear real estate, personal property and motor vehicle assessment appeals. Applications are available in the Assessors office and must be submitted by February 20th. Motor vehicle appeals are in September, no appointment is necessary. Please contact the Assessors Department for details. Taxes on these vehicles should be paid when due to avoid interest penalty. To receive a new registration decal, you must come to the office in person with an up to date FAA Certification. Please call for an appointment. Farms and open space: Application must be filed with the Assessor between September 1st and October 31st. Farm equipment exemption must be notorized and filed by October 31st. Forest: 25 acres or more, certified by a state forester and filed bewtween September 1st and October 31st. There are tax exemptions possible on Real Estate or Motor Vehicles for honorably discharged veterans of all ages and branches of service. Their time of service needs to include a specific period of war or conflict, regardless of whether they served in combat or not. Discharge papers need to be filed in the Town Hall. The Assessor can help replace the original discharge if it has been lost or misplaced. Additionally, a VA disability rating of 10% or more warrants a higher exemption. The rating document from the VA needs to be filed. There is also a Motor Vehicle exemption for persons in active service in all branches. No veteran or person in active service should assume that he/she is not eligible. Call the Assessors Office to learn more. 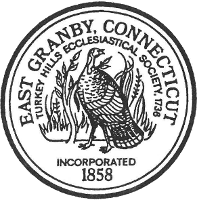 The State of Connecticut and the Town of East Granby have programs which provide tax relief for elderly and totally disabled homeowners on their real estate taxes. The filing period is February 1st to May 15th annually. Call for details and income requirements.